The CU@Lubalin Center event took place on April 2, 2014. An intimate group of thirteen alumni and design professionals gathered in the Lubalin Center for an intriguing journey into the lives and work of acclaimed design alumni including Herb Lubalin A’39, Lou Dorfsman A’39, Milton Glaser A’51, Seymour Chwast A’51, Ellen Lupton A’85. 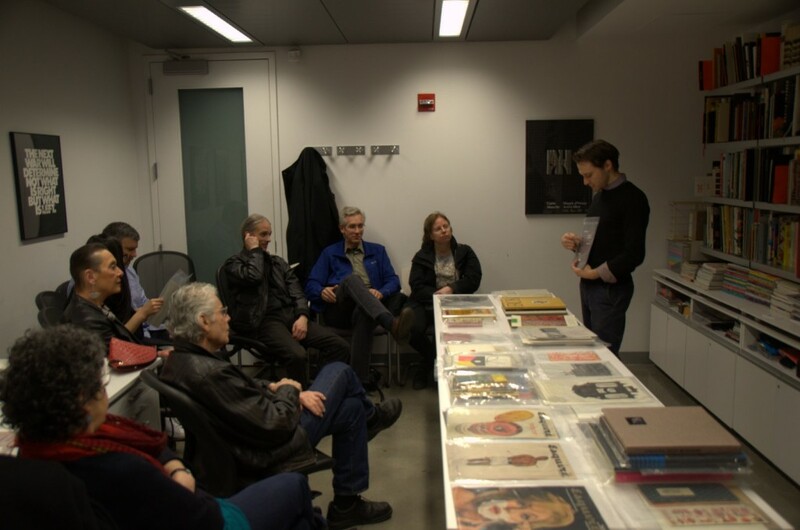 Many thanks to alumnus, curator and adjunct professor, Alexander Tochilovsky A’00 who led the engaging discussion. Future events at the Lubalin Center are in the planning stages with the intention of exposing more alumni and students to this extensive collection of design works. This entry was tagged Alexander Tochilovsky, Herb Lubalin, Lubalin Center. Bookmark the permalink.